There was a great post by John Seavey over at Mighty God King on Monday about Marvel's 'Onslaught' event and how it was, in a lot of ways, the beginning of the end for the extreeeme era of comics. In it, Seavey mentions the great Marvel comics that came after Onslaught and Heroes Reborn, and it got me to thinking, once again, about how close we were to having comics that were really about heroes again. It's a shame it didn't take. After Heroes Reborn fizzled out, Kurt Busiek did one of the best runs the Avengers ever had. Mark Waid was over on Captain America. Thunderbolts came out and told stories about villains that tried to turn towards good, stumbling somewhat, but most of them unambiguously picking heroism over villainy. Over at DC, there was Morrison on JLA, telling stories that were mostly about heroes doing good, and not in the sheepish, "ho ho ho, it sure is hokey" way that unalloyed heroism was treated when it showed up in the years since Watchmen and The Dark Knight Returns. Even in Hitman, one of the most Dark Ages concepts you could ask for, Garth Ennis told one of the best Superman stories ever told in Hitman #34, albeit a couple years after the rest of these books. Old Superman is disappointed in you, comics. 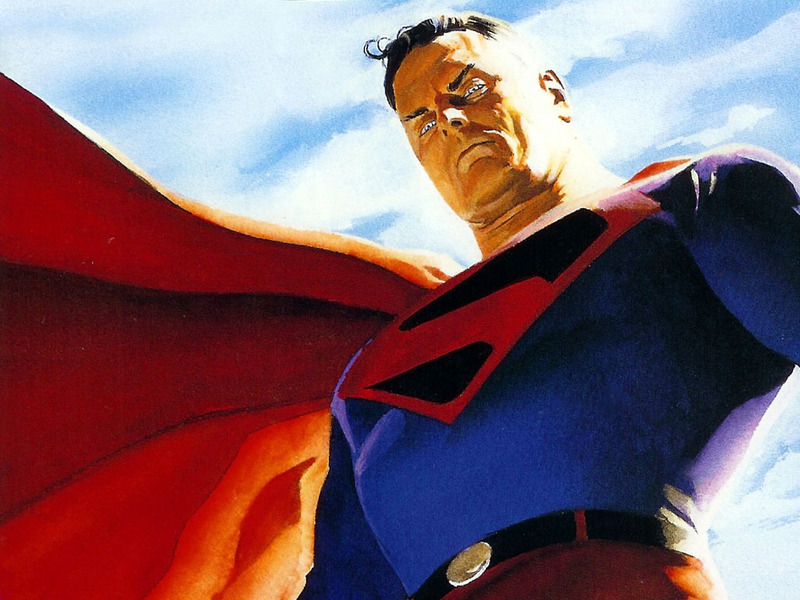 One of the most striking places one can see this shift is in Kingdom Come, by Mark Waid and Alex Ross. Kingdom Come is a book that is almost the anti-TDKR in its message and tone. I don't want to spoil it for those of you that have not read it, and you really, really should if you haven't, since it's one of the classics of modern comic books. However, the story is one in which sacrifice and restraint are what ultimately allow the world to be set right, and it is quite intentionally contrasted in the book with the brutality and moral murkiness that had come to infect comics in the previous decade. There was a brief period there where it looked like we were going to have a wonderful synthesis of the good aspects of the Bronze and Dark Ages of comics (and there were some, to be sure) with the more heroic and, honestly, joyful stories of the Silver and Golden Ages. It seemed like the creators had figured out how to balance telling a whimsical, classically heroic story with the need for more mature storytelling and character motivation. And then September 11, 2001 happened. After 9/11, the industry seemed to lose hope again. To be fair, that happened across all media, as anti-heroes, hard men and women that would get things done and come out just barely on the side of the angels had a resurgence. Just look at 24, with it's anti-hero protagonist Jack Bauer torturing people to prevent terrorist attacks, for probably the clearest example. Pop culture has to shift to fit the mood of the times, and one can't really fault the creative teams on the comics for trying to do so. Unfortunately, this meant a return to a lot of the grimmer aspects of the Dark Age, without any of the goofiness of the extreeeeme stuff to lighten it. 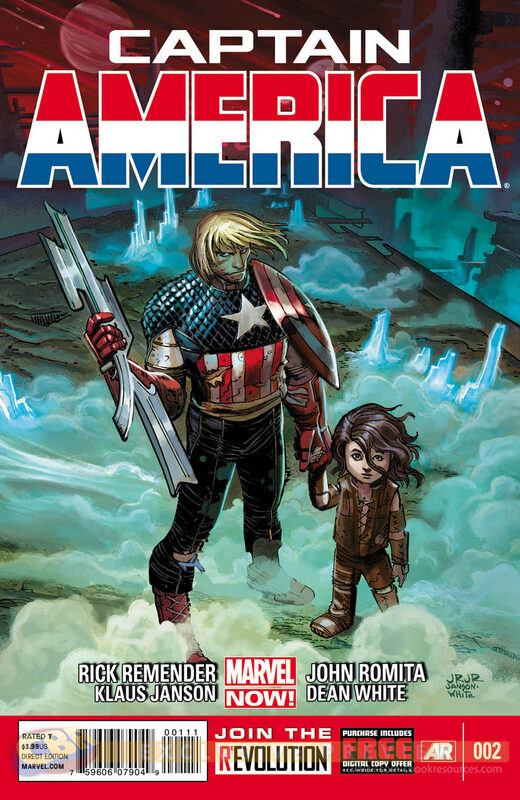 This is how comics readers got things like Bucky, Captain America's teen sidekick, being Cap's wetwork operative. It's how we got Identity Crisis tainting one of the last carefree Justice League rosters retroactively. The list goes on and on, with the Illuminati retconned into manipulating every aspect of the Marvel universe, Superboy-Prime killing Superman-2 and a bunch of other folks, Civil War ending with the heroes of 9/11 tackling Captain America, Dark Reign's entire story arc, and Wonder Woman snapping Max Lord's neck as some of the highlights. It's weird, but at least he's a hero. sense of hope that was on display for a scant few years, and its absence is sorely felt when one looks at the stories as a whole. That's not to say there weren't dark stories in the brief heroic resurgence, and there weren't heroic stories after it; just look at Incredible Hercules and Blue Beetle for great examples of those. But there's been an undercurrent until very recently that still seemed to be ashamed of heroism and justice as anything except unobtainable ideals. It's not all bad news, of course. With Marvel NOW! and DC's New 52, there have been some of these stories poking around the edges again: Captain America spending a decade of his life raising and protecting the son of one of his enemies, Superman in Action Comics being, well, Superman, All New X-Men showing the younger X-Men trying to come to grips with how their older selves ended up in an attempt to avoid that fate, and a number of other examples. Hopefully the new heroism will take root this time.